Vaporjoes.com – Vaping Deals and Steals – BATTERY DEAL: TWO SAMSUNG 25R 18650 BATTERIES 25AMP – $9.99 + FS! BATTERY DEAL: TWO SAMSUNG 25R 18650 BATTERIES 25AMP – $9.99 + FS! 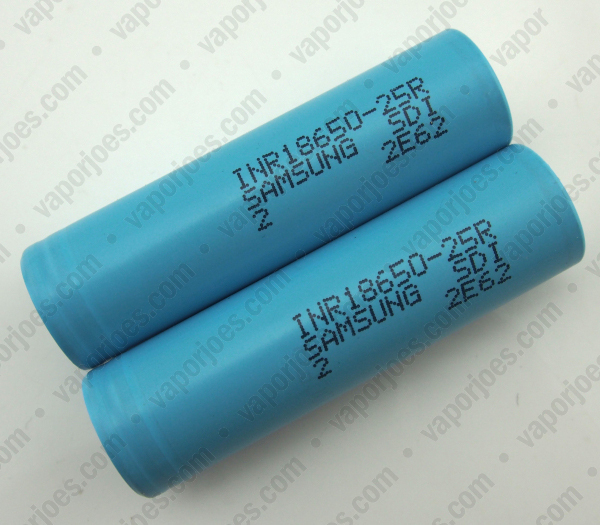 The Samsung INR18650-25R is a rock solid battery and is a staple in the vaping community. Today we have a deal on these for just $9.99 for two. For just $5.00 ea you cant go wrong. Pick up a few sets. By vapor-Tuesday, July 7, 2015-Uncategorized-Comments Off on BATTERY DEAL: TWO SAMSUNG 25R 18650 BATTERIES 25AMP – $9.99 + FS!